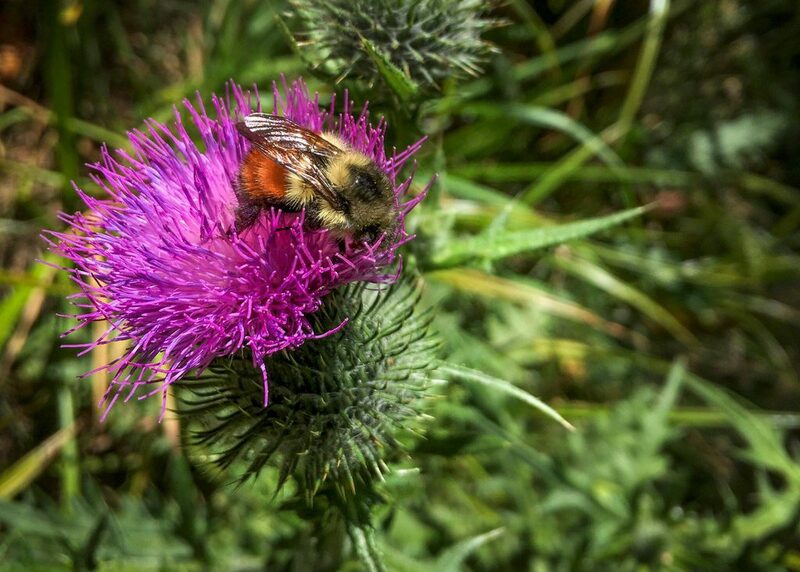 In the spring of 2017, with the support of melittologist Lincoln Best, Galiano community members participated in a coordinated effort to document the bees of Galiano Island. 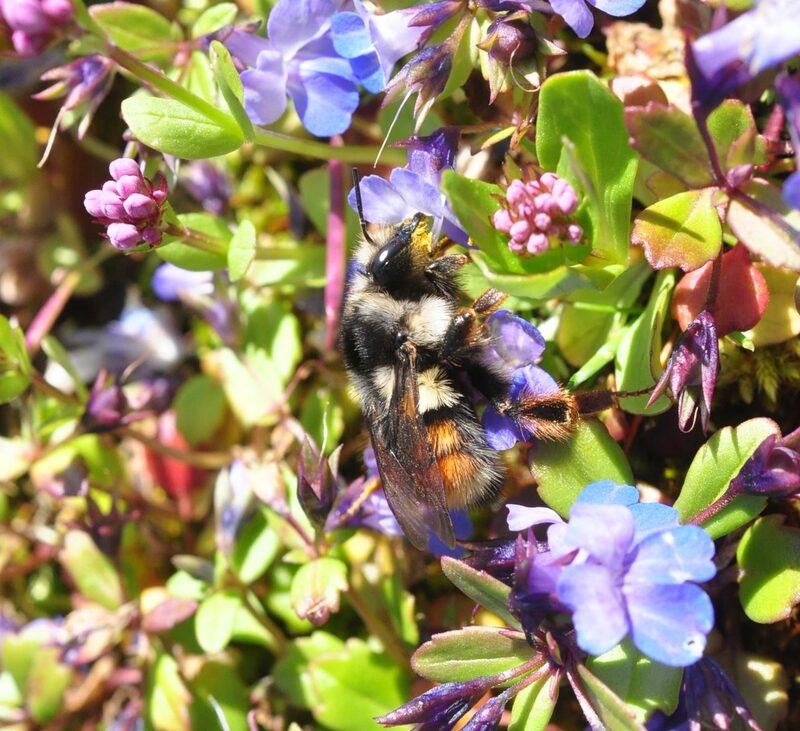 Our surveys took place during the months of April through to July and yielded a total of 628 bee specimens, representing 8 different genera, from 8 different localities. 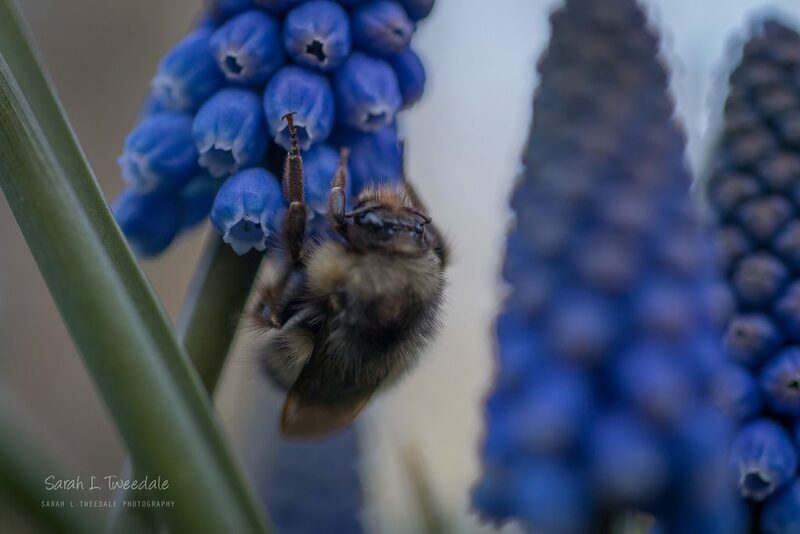 These include mining bees (Andrena spp. 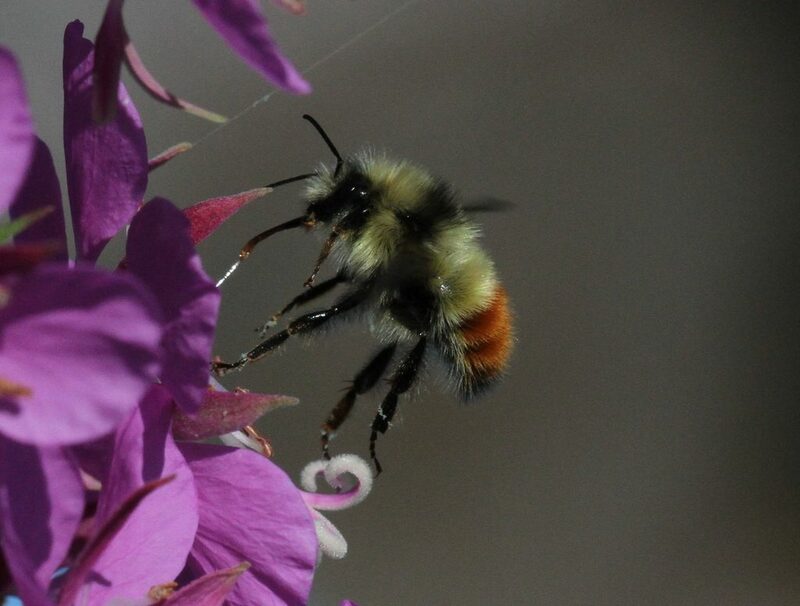 ), bumblebees (Bombus spp. 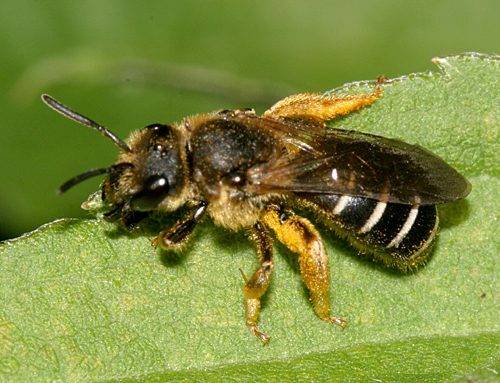 ), long-horned bees (Eucera spp. 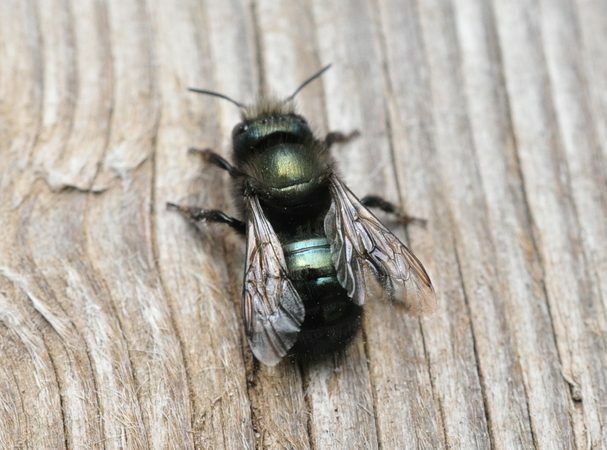 ), mason bees (Osmia spp. ), cuckoo bees (Nomada spp. 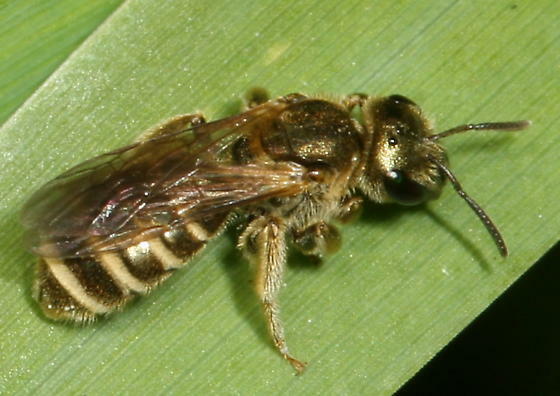 ), sweat bees (Halictus & Lasioglossum spp.) 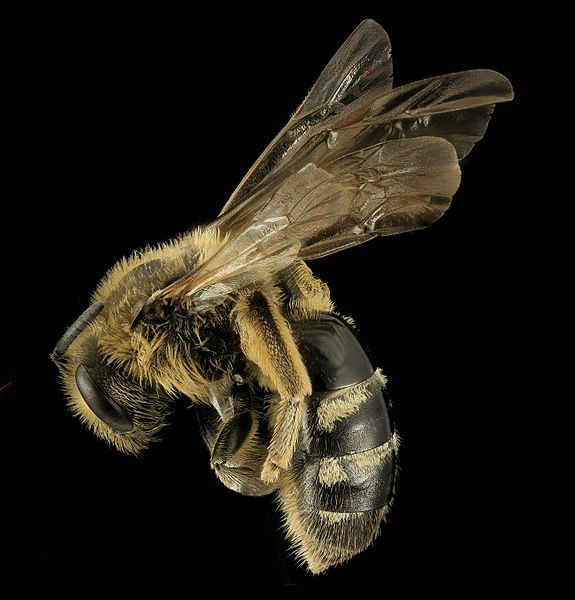 and blood bees (Sphecodes spp.). Sampling was conducted with pan traps at roughly 3-day intervals, during periods of (mostly) blue skies and sunshine. 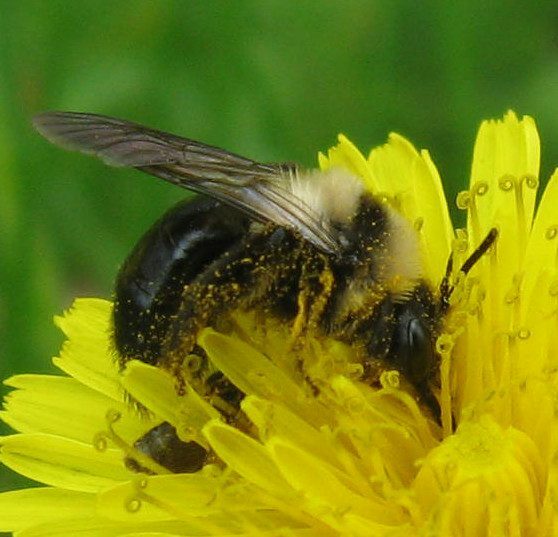 These findings will add to the record of Galiano Island’s known bee diversity, which now numbers at 41 species of bees and sphecoid wasps belonging to the Apoidea. Fifteen of these species are new to the project since the Biodiversity Galiano Island project first began in January 2016. The remainder were collected by S.G. Cannings, J. Heron, L. Parkinson, and G.G.E. Scudder, with records going back to 1973. The specimens collected last spring are still being identified. Yet so far five species have been added new to the list for Galiano Island. Kudos to Ed Andrusiak, Karen Harris, Michael Hoebel, and Rob and Mary Greenwood for their participation in this survey. Special thanks go out to our bee expert Lincoln Best and to Mark Webber, who provided lab space for processing specimens. As a legacy of this project, our community can look forward to a reference collection being prepared by Lincoln Best. Meanwhile, the following list provides a summary of the species identified to date, along with the names of those who helped find them. Check out the gallery on the right for photographs of the documented species.